Money has been invented to make trade easier. There are different types of money but most money nowadays is bank debt. If you borrow money from a bank, the bank creates money from thin air so that you can spend it. In this way your debt has become money. Banks turn debt into money. If you spend the money, it ends up in the account of someone else. If you pay back the loan, the money disappears. For every borrower there is a saver. Savers want interest on their money so borrowers have to pay interest. But if savers do not spend their money, borrowers don't have the money to repay their debts or to pay for the interest. They can only borrow more or default. To prevent that from happening, governments can borrow money and spend it so that people have money to repay their debts and the interest. In the future this may not work any more. People and governments are already deeply in debt. We may need to make the economy work without more debt. The solution is Natural Money. Natural Money can make the economy work with the need for more debt. Natural Money is interest-free money with a holding tax. The maximum interest rate on loans is zero. The holding tax is a tax of 0.5% to 1.0% per month on cash. If you lend out your money or put it in a bank account, you don't have to pay the tax. In this way it can be attractive to lend out money at zero or even negative interest rates. This makes it possible to have negative interest rates that can encourage savers to spend more. The maximum interest rate of zero can reduce excessive debts. Interest is a reward for risk so that it is not attractive to lend to debtors that may not repay. Natural Money can only be introduced when interest rates are low and poised to go negative already. 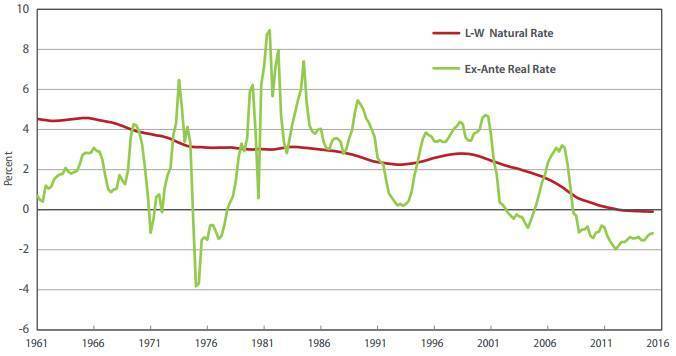 And to make Natural Money work longer term, interest rates must remain low and negative. This can only happen when there is no inflation. Governments must have their finances in order to have negative rates because when investors don't trust the currency, interest rates will be too high for Natural Money. Natural Money is a theory about money, banking and interest. Don't stop reading now if you fear that this is going to be boring or incomprehensible. You may think that Whatsapp, Facebook, Twitter and Netflix are far more interesting than these dreadful topics, and maybe you’re right, but I made quite an effort to explain it in plain language and to make it entertaining. As you may find out when reading this chapter, these topics are important. And really, the idea of Natural Money isn't very hard to understand. Natural Money might be the solution for the financial crisis that is coming. And it is remarkably simple. First, charge a tax on money, so that people that have money will spend it and no new debts are needed to keep the economy going. Second, forbid charging interest on loans, so that risky lending will stop because there is no reward for taking such risk, and debts cannot grow out of control because of interest charges. This can make the economy perform better, which will make people happy. It could also attract new investments so that the economy can improve even further. If it is so simple then why didn't economists think of it? The answer is that a maximum interest rate is a price control. For economists price controls are amongst the worst kind of evil because they distort the market. But if interest rates are already low or negative, the distortion reduces, and if the alternative is worse then a price control could be good idea. In the past interest rates were too high, and a maximum interest rate of zero would have caused mayhem in the markets, but now interest rate are near zero and destined to go lower. And so Natural Money is an idea whose time has come. I presume that you have little or no knowledge of economics, so I will start with explaining what money is and what it is used for. Then I discuss the use of banks and how they do their magic trick, which is creating money from thin air. Also the role of the government is important because the government decides what is money and what is not. Then I will make a short trip into history and discuss how the current financial system came to be. After that we arrive at the most important part of this paper that investigates interest and the problems it causes. First I will show what factors determine interest rates. Governments and central banks have found solutions for some of the problems caused by interest, but not for all of them. I will demonstrate that the financial crisis of 2008, and the next one that may be coming, are caused by interest. That doesn't mean that interest is something evil. Interest is a natural phenomenon and it is needed for the capitalist economy to operate. Still, interest causes wealth inequality and financial instability. Because of this, governments and central banks try to manage the economy. Governments try to manage economic growth with spending and central banks try the same with printing money and setting interest rates. But now governments are deeply in debt and interest rates are near zero so the old tricks may not work any more in the future. Finally, I will introduce Natural Money, an idea that can solve the coming financial crisis. I will only discuss an outline of the solution here. If you want to know more about it, you could read Economic Theory Of Natural Money. Money emerged because trade would be complicated without it . For example, if you are a hatter in need of legal advice, then without money, you have to find a lawyer who desires a hat. That is unlikely to happen. Maybe there is a fisherman dreaming of a hat, but he can’t give you legal advice. Maybe there is a lawyer in need of a hairdo instead of a hat. With money all these problems disappear like magic. You can buy the services of the lawyer so that she can go to the barber. After that the barber can buy fish and then the fisherman can buy a hat from you. Despite these mind blowing advantages, humans did not need money for a long time because they lived in small bands and villages where everyone depended on each other and everyone helped each other . This meant, for example, that when a fisherman needed a hat, you would give him the hat, in the expectation that if you needed anything, someone else would provide it to you. You did someone a favour so that he or she was obliged to do something back. In ancient times villages were self-sufficient. Trade with the outside world was limited and was done with barter instead of money . People living in cities, kingdoms and empires didn’t know each other. It became difficult to track whether or not everyone was contributing. Favours and obligations did not suffice any more and had to be replaced by a formal system for making payments and keeping track of contributions and debts. Writing and money made it possible to specialise in professions and to administrate cities and kingdoms. Commerce as well as tax collection needed an administrative system as well as a unit of account. Favours and obligations did not suffice any more and were replaced by a more formal system for making payments and keeping track of contributions and debts. This formal system is called money. Money can be used (1) for buying and selling things, (2) to say how much something is worth and (3) for saving and borrowing. Money therefore is a medium of exchange, a unit of account and a store of value. 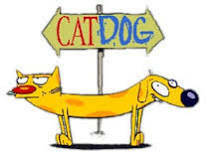 Money being a medium of exchange as well as a store of value is like your pet being a cat as well as a dog. The result is not really a success. The parts of the pet may often quarrel, for example because the dog part wants to play while cat part wants to sleep. If someone keeps money for a rainy day, and doesn’t spend it, others cannot use this money for buying stuff. And this really can be a big problem. A simple example can explain this. Imagine that tomorrow everyone decides to save all his or her money. Nothing would be bought or sold any more. All businesses would go bankrupt and everybody would be unemployed. Without the businesses all the money that has been saved would buy nothing, simply because there isn’t anything to buy. This is a total economic collapse. In reality it doesn’t get that bad because people will always spend on basic necessities like mobile phones. When people only spend money on necessities there is an economic depression. Saving can make us poorer when there are too many savings already. For a smooth operation of the economy, money must circulate. If you don’t need your money for buying stuff then it must be returned to the economy. You have to invest it or lend it to someone else who is going to use this money to buy stuff or to make an investment. Money has no value when there isn’t any stuff to buy or when there aren’t any other people to trade with. Imagine that you get the offer to be dropped alone on a remote island in the Pacific with 10 million euros. Probably you would decline the deal, even if you can keep your mobile phone. It is other people and stuff that give money value. But how? The answer is remarkably simple. The value of money is just a belief. It comes from the fact that people are willing to work for money and sell their stuff for money. And because others do this, you do the same. For example, you may think that euro notes have an appalling design as well as an unpleasant odour, but nevertheless you probably desire to own them because other people want them too. The value of the euro is based on the belief that other people accept euros for payment . This is just a belief and it is not very difficult to see. Suppose that you wake up one day to hear on the news that the European Union has been dissolved overnight. Then you may start to have second thoughts about your precious stockpile of foul smelling unstylishly decorated euro bank notes. Suddenly you may ask yourself in distress whether or not your precious bank notes still have any value. What is the value of the euro without the European Union? Then you may find yourself hurrying to the nearest phone shop in an effort to exchange this pile of bank notes for the latest model mobile phone. And to prove this point even further, suppose that the phone shop gladly accepts your euros. Suddenly they become desirable again and you may start to have second thoughts about that latest model you are about to buy. It may not remain hip for much longer, so you may change your mind again and prefer to keep your precious euros because there may be a newer model next month. So, because the shop wants your euros, you wants them too. Originally, money was an item that people needed or desired. Grain was one of the earliest forms of money. 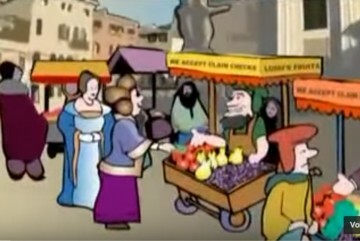 Everybody needed food so it was easy to make people believe that others accept grain for payment. In prison camps during World War II cigarettes became money because they were in high demand. Even non-smokers accepted them because they knew that other people desired them very badly. For that reason cocaine can be money too. Wares like grain, cigarettes and cocaine have disadvantages. They degrade over time so they aren't a very good store of value. This makes them a great medium of exchange because people won't save them. An example can demonstrate this. Imagine that apples are money and you want to buy a house. A house costs 120,000 apples but your monthly salary is just 2,500 apples of which you can save 1,000. It takes 10 years of saving to buy a house. Soon you will discover that apples rot and that you will never be able to buy a house. Then you will spend all your apples right away. This is where gold and silver come in. Gold and silver have not much use, but humans have always been attracted to shiny stuff. Gold is rare so a small amount of gold can have a lot of value if people have a strong desire for it. Gold and silver coins can be made of different sizes and purity so that they are suitable for payment and can be used as a unit of account. More importantly, gold and silver do not deteriorate in quality like apples, grain or cigarettes. They do not even rust after 1,000 years. This makes gold and silver an excellent store of value. But this should make us suspicious. A perfect cat makes a lousy dog so a perfect store of value can fail the test for being a good medium of exchange. People can store gold and silver so that there is less money available for buying and selling stuff. And this can cause an economic depression as we have seen. Governments create money too, for example by printing “10 euro” on a piece of paper. Governments require by law that this money should be used for payments and taxes. This makes people believe that others accept this money too. Government money is called fiat currency or simply currency. The authority of a government is limited to the area it controls so in the past government currencies had little value outside the country itself unless this money consisted of coins containing gold or silver. In fact, another reason why gold and silver are attractive as money, is that the value of gold and silver does not depend on the authority of a government. This made gold and silver internationally accepted as money. In the 19th century most government currencies could be exchanged for a fixed amount of gold. This was the gold standard. The gold standard boosted trade because gold was internationally accepted as money. Debts can have value and so debts can be money too. This may seem strange or even outrageous, but money is just a belief. For example, money is the belief that you can exchange a hat for money and then exchange this money for legal advice. Hence, if you believe that the debtor is going to pay, you can accept his or her promise to pay as payment. And if others believe this too, you can use this promise to pay someone else. So if the fisherman promises you to pay next week for the hat you just made, you could say to the lawyer that you expect the fisherman to pay in a week, and ask her if you can pay in a week too. The lawyer could then ask the same of the barber and the barber could ask the same of the fisherman. If all debts cancel out then there is no need for cash. Most money we currently use is debt. But to make that happen, we need banks. In most cases debts cannot be cancelled out so easily. The hat may be € 50, the legal advice € 60, the hairdo € 30, and the fish € 20. You could lend € 10 to the barber and the lawyer could lend € 20 to the fisherman. Perhaps the lawyer doesn't trust the fisherman because he smells fishy. If the lawyer trusts the barber and the barber trusts the fisherman then the lawyer could lend € 20 to the barber and the barber could lend € 20 to the fisherman. That could become very complicated quite easily. This is where banks come in. Banks can lend money because banks know the financial situation of their customers. The fisherman can borrow money from his bank to make payments because the bank knows that he has an unstable but good income and a vessel that can be sold for cash if needed. If the fisherman borrows money to pay for the hat you made, this money ends up in your account. You can use it to pay the lawyer. And so the fisherman's debt becomes the lawyer's money until she uses it to pay the barber. People that have a deposit lend money to their bank and they trust the bank even though they do not know the people the bank is lending money to. Most people think of money as coins and bank notes but more than 90% of the money just exists as bookkeeping entries in banks. When a fisherman borrows money from his bank, he can spend it on a hat. This means that the bank creates money and that this money is debt. Most of our money is debt so the value of money depends on the belief that debtors pay back their debts. This seems scary and it keeps people awake at night or making animation movies like Money As Debt. 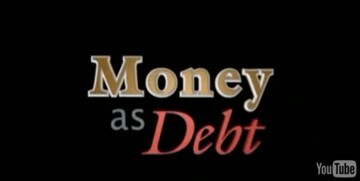 Money As Debt argues that debts and banking are a fraud because they are based on belief. But bankers and debts that helped to increase trade and production by creating money that doesn’t exist to start businesses that don’t yet exist to make products which will be bought by the people those businesses will hire with this newly created money. Banking and debts are at the basis of the capitalist economy. Banking is more or less just bookkeeping and balance sheets. Balance sheets can be used to explain the magic trick banks do, which is creating money. Balance sheets are simple. There are no intimidating formulas, only additions and substractions. The important thing to remember with balance sheets is that the sum of the amounts on the left side must always equal those on the right side. When you buy a car, you own more stuff, but also another loan or fewer bank deposits as you have to pay for the car. This is because debit always equals credit. When you drive the car, it goes down in value, as does your net worth, because debit always equals credit. If your salary comes in, your bank deposits as well as your net worth rise because debit always equals credit. If you pay down a loan, the amount in your bank account as well as the amount of your loan goes down because debit always equals credit. If debit does not equal credit then you have made a calculation error. First, there was only € 40 in cash. Now there are € 40 in bank deposits too. You might think that the bank created money. Only, that isn’t true because the depositors can’t spend the cash unless they take out their deposits. In other words, the depositors don’t have more money at their disposal than before. If you look at the total, there is still € 40. This is bookkeeping. You have to write down the total twice as debit must equal credit. And now comes the dreadful part that keeps some people fretting. Everyone can take out his or her deposits in cash. There is € 80 in deposits and only € 40 in cash. If you go to the bank and demand your € 60 in cash, the bank would go bankrupt, even when the fisherman pays off his loan the next day. You could bankrupt the bank by buying € 50 in fish with cash. If you go to the bank to get € 50 in cash it would not be there so the bank would go bankrupt before the fisherman can pay off his loan with the same cash. If banks can’t create money, trade would be difficult. If the hat is € 50, the legal advice € 60, the hairdo € 30, and the fish € 20, and you, the lawyer, the barber and the fisherman all have only € 10, nothing can be bought or sold. If the bank lends € 40 to the fisherman, he can buy a hat from you, you can buy legal advice from the lawyer, the lawyer can buy a hairdo and the barber can buy fish. Debt is the basis of the capitalist economy. Nearly all money is debt, and without debt the economy would come to a standstill. The amount of money a bank can create is limited by the bank’s capital, which is the bank’s net worth. Regulations stipulate that banks should have a minimum amount of capital. This is the capital requirement. If the capital requirement is 10%, and the bank’s capital is € 10,000,000, it can lend € 100,000,000, provided that there are enough deposits. If the bank makes a loan, a new deposit is created. If the deposit leaves the bank, the bank must borrow it back from another bank or cut back its lending. When a deposit leaves the bank, it ends up at another bank. The other bank lends it back until a payment comes the other way. There may be a reserve requirement, which is a minimum of cash and central bank deposits the bank must hold. If the reserve requirement is 10%, the bank can lend out as much as ten times the amount of cash and central bank reserves it has available. Once upon a time when gold was internationally accepted as money, goldsmiths fabricated gold coins of standardised weight and purity. They were a trusted source of these gold coins. The goldsmiths owned a safe where they stored their gold. Other people wanted to store their gold there too because those safes were well guarded. The goldsmiths started to make a business out of renting safe storage. People storing their gold with the goldsmith received a voucher certifying the amount of gold they brought in. At first these vouchers could only be collected by the original depositor. Later this restriction was lifted so that any holder of the voucher could collect the deposit. From then on people started to use these vouchers as money because paper money was more convenient than gold coin . Depositors rarely demanded their gold and it remained with the goldsmiths. The goldsmiths also had another business, which was lending out their gold at interest. Because depositors rarely came in to collect their gold, the goldsmiths found out that they could also lend out the gold of the depositors at interest. When the depositors found out about this, they demanded interest on their deposits too. At this point modern banking started to take off, and paper money became known as bank notes. Borrowers also preferred paper money to gold coin, so the goldsmiths, who had now become bankers, found out that they could lend out more money than there was gold in their vaults. Bankers started to create money out of thin air. This is fractional reserve banking because not all deposits were backed by gold reserves . The new money was spent on new businesses and that hired new people so the economy boomed. When depositors found out that there were more bank notes circulating than there was gold in the vaults of the goldsmith's bank, the scheme could run into trouble, but mostly it didn't. 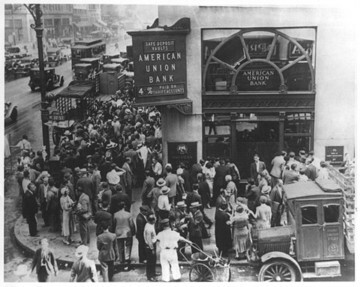 Depositors received interest and this enticed them to keep their deposits in the bank. People trusted their bank as long as they believed that debtors had no trouble repaying their loans. Sometimes people started to have doubts about their bank, and worried depositors came to the bank to exchange their bank notes for gold. This is a bank run. When that happened, the bank could run out of gold and close down because not all the gold was there. The bank's bank notes could become worthless, even when borrowers had no problems repaying their debts. When the bank notes became worthless, the money that the bank had created out of thin air suddenly vanished. This was a financial crisis. A lot of money had suddenly disappeared so people had less money to spend. This could hurt sales so that some businesses could go bankrupt. Those businesses could not repay their debts at other banks and depositors at those banks might fear that their bank would go bankrupt too. This could cause more bank runs and more money disappearing, so that things would become even worse. This is an economic crisis. This is the way a financial crisis could trigger an economic crisis. Measures have been taken to forestall financial crises and to deal with them if they occur. Banks needed to have a minimum amount of gold available in order to pay depositors. Central banks were instituted to support banks by supplying additional gold if too many depositors came in to collect their gold. Central banks could still run out of gold but this was solved when the gold backing of currencies was ended. Nowadays a central bank can print new dollars or euros to cope with a shortfall. Regulations limit the amount of loans banks make and therefore the amount of money that exists. But everyone can lend to anyone. Alternative forms of financing circumvent the regulations imposed on banks. For example, corporations can issue bonds or use crowd funding. Human imagination is the only limit on the amount of debt that can exist. As long as people expect those debts will be repaid, even if it is with new debts, there is trust in these debts. The financial crisis of 2008 demonstrated that trust in debts can suddenly disappear. Assume that Jesus' mother put a small gold coin weighing 3 grammes in Jesus' retirement account at 4% interest just after he was born in the year 1 AD. Jesus never retired but he promised to return. Suppose now that the account was kept for this eventuality. Assume further that the end is near, and that Jesus is about to return. How much gold would there be in the account in 2017? The answer is an amount of gold weighing 11 million times the mass of the Earth. The yearly interest would be an amount of gold weighing 440,000 times the mass of the Earth. There is a small problem or a fly in the ointment so to say. It would be impossible to pay out Jesus in gold coin because there simply isn't enough gold. It might seem that the bank had to close long ago because the account could not be paid out in gold, but that isn't true. As long as Jesus doesn't show up it can remain open, at least if the borrowers are allowed to borrow more to pay for the interest. And it may not be such a big deal if the economy grows 4% or more all the time. The interest on the deposit can be created out of thin air by making new loans in the same way money is created. And so Jesus ended up owning 11 million Earth masses in fictional gold. This looks very much like the situation where the cash isn't there when depositors want to take out their deposits in cash. The problem of interest exists because there is a limited amount of gold and compound interest is infinite. As long as bankers can create money out of thin air to pay for the interest, and people accept bank deposits for payment, everything is fine. Problems arise when people demand real gold for their deposits. Perhaps Jesus’ retirement account isn’t such a big problem after all. Our money isn’t gold but currencies central banks can print. Assume now that Jesus’ mother had put one euro in the account instead. One euro at 4% interest makes 21,000,000,000,000,000,000,000,000,000,000,000 euro after 2015 years. That may seem an intimidating figure, but the European Central Bank can take 21 pieces of paper and print 1,000,000,000,000,000,000,000,000,000,000,000 euro on each of them. And there you are. Something like this happened during the financial crisis of 2008. When central banks lower interest rates, people can borrow more because interest rates are lower. Central banks lower interest rates when people are borrowing less than is needed to cope with the shortfall. If central banks raise interest rates, people can borrow less because interest rates are higher. Central banks raise interest rates when people are borrowing more than is needed to cope with the shortfall and the extra money makes people want to buy more stuff than can be made. If people don't borrow, central banks may print more currency to cope with the shortfall. There is a problem central banks can't fix by printing more currency. Interest is more than just interest on money. Interest is any return on investment. Throughout history returns on investments were mostly higher than the rate of economic growth. Most of these returns have been reinvested so a growing share of total income was for investors. This can't go on forever because who is going to buy the stuff corporations make in order to keep these investments profitable? A simple example can illuminate that. In the short run it was possible to prop up business profits and interest rates by letting people go further into debt to buy more stuff. In the long run, the growth rate of capital income cannot exceed the rate of economic growth. Interest rates depend on the returns on capital so this can explain why interest rates went down in recent years. You can use the button below to use a calculation app for the development of total income, interest and wages over the years based on different economic growth rates and interest rates. When interest rates go down, the value of investments tend to rise. If savings yield little this benefits the wealthy as most people have most of their money in savings while the wealthy own most investments. But it is important to know the cause. The graph above shows that wealth inequality causes interest rates to go lower, and that redistributing income can bring higher interest rates. Yet, the relation between interest rates, wealth equality, and income equality is not easy to understand. There is a difference between wealth inequality and income inequality. Your labour income and the returns on your investments are your income. If you are rich but make no money on your investments, your wealth doesn't contribute to your income. In reality wealthy people make better returns on their investments than others because they have better information and can take more risk. Still, the graph shows that income and wealth inequality can't increase indefinitely, and that returns on investments must go down, hence interest rates need to go lower. Most people pay more interest than they receive. The interest paid on mortgages and loans is the proverbial tip of the iceberg. Interest is hidden in rents, in taxes because governments pay interest on their debts, and the price of every product and service because investments have to be made to bring these products and services to the market. German research has shown that 80% of the people pay more in interest than they receive, while only the top 10% of richest people receive more in interest than they pay . Lower interest rates benefit most people despite some side-effects that work in the opposite direction. Humans are herd animals. They buy stuff and even go into debt to buy stuff when others are going into debt to buy stuff too. Suddenly they may realise that they have bought too much or have gone too deeply into debt, and all at the same time. One day they may be borrowing money, queueing up before the mobile phone shop, and bidding up prices. The next day, they may decide to pay off their debts, leaving the shop owners with unsold inventories they have to get rid of at firesale prices. So prices may go up when people are in a buying frenzy and may go down when sales dry up. If sales disappoint and you only make a return of 2% on the invested capital of € 300,000, which is € 6,000, you make a loss because you pay € 12,000 in interest charges. You may have to fire workers. Businesses can go bankrupt because they have borrowed too much money and have to pay interest, even when they are profitable overall. Sales often disappoint when the economy fares poorly. This means that more businesses face the same difficulties and make losses because of interest payments. They may have to fire workers and these workers lose their income. This can worsen the slump. There may be a relationship between interest, economic depressions and war. In 1910 the amount of capital income (the red circle in the graph) relative to total income (the two circles together) was close to what it was in 2010. This could have led to an economic depression. Before that could happen Word War I began. The war destroyed a lot of capital so that interest rates could remain positive. Promoting inflation might not be a good idea. The end result is unpredictable. The best one can hope for is a poor performing economy and a lot of inflation like in the 1970s. But if interest rates rise because lenders lose their trust in money and debts, people may not be able to repay their debts, and the financial system might get into trouble. This can cause another great depression or another great war. But if the alternative is negative interest rates bringing unprecedented prosperity and stability then why not opt for that? To understand how interest rates are set, you should know the law of supply and demand. This law is simple. As the price of an item rises demand goes down and supply goes up. If coffee is expensive, some people may not be able to buy coffee. Others might decide to take an energy drink because that is cheaper. And so demand goes down. On the other hand, some farmers might decide to switch to growing coffee because it can bring them a bigger profit than the crop they are growing currently. And so supply goes up even though it may take a while before the extra coffee becomes available. As the price of an item falls, demand goes up and supply goes down. If coffee is cheap more people can afford it and those who opted for energy drinks might choose coffee instead. And so demand goes up. On the other hand, some farmers that grow coffee might decide to switch to growing another crop because they think it will them bigger profits. And so supply will fall even though it may take a while. 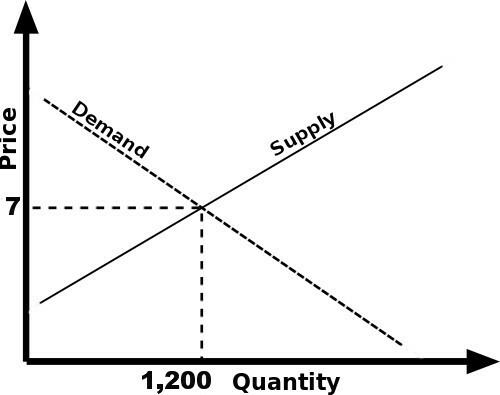 In this way there is a price where supply equals demand. For example, for a certain item demand and supply might equal 1,200 items when the price is € 7. If the price of book is € 7 in France then what does that mean? The same book might cost $ 8 in the United States. Is the item more expensive in the United States than in France? That depends on the price of the dollar and the euro. If the dollar is worth € 0.80 then $ 8 is cheaper than € 7. The price of the euro and the dollar change every day because of changes in supply and demand in the market for euros and dollars. When economists discuss the price of money, they mean the interest rate, not the price of dollars and euros. The supply and demand for borrowed money determine the interest rate. When many people want to borrow money or when there isn’t much money available for lending, the interest rate goes up. When only a few people want to borrow money or when there is a lot of money available for lending, the interest rate goes down. So what determines the supply and demand for money and therefore the price of money? Economists have put a lot of thought into this question. According to them interest rates are determined by convenience, risk, returns on investments, time preference and capitalist spirit. These things will be explained shortly. The type of money we use can also influence interest rates. When you have lent your money to someone else, you can’t use it yourself. 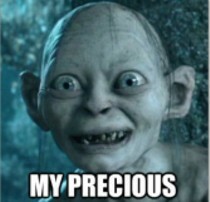 There may be a new mobile phone in the shop that you desperately want to buy, but alas, you have lent out your money. This is not very convenient. But then you remember with a smile on your face that you will be able to buy the phone, and a hip phone cover too next year, because you receive a nice interest rate on this loan. So, if people don't receive interest on their money, they may not bother lending it out because they may need it. When you deposit money at a bank, you lend it to the bank but you can still use it any time you want. The bank can do that because if you make payment, for example for legal advice, this money ends up the account of the lawyer, and the bank will be borrowing this money from the lawyer instead, until she uses it to pay someone else. That is very convenient. For that reason interest rates on current accounts and checking accounts are low. Having money in a current account is more convenient than cash so the bank may even charge you for that. Lending out money can be risky. There are two types of risk. First the borrower may not pay back the loan. That could make you reluctant to lend out your money. So if someone wants to borrow money from you, and you fear that she may not pay back, she could offer you a high interest rate on the loan so that you might think, "Well, there is some chance that she will pay back, and the interest rate is very attractive, so I'll do it." Second, money may become worth less in the future. This is called inflation. If there’s a lot of inflation then the money that buys a mobile phone today may only buy a phone cover a few years later. In that case you may spend your money right away on a mobile phone before it is too late. That is unless someone wants to borrow the money from you and offers a very high interest rate, so that your can buy a newer model next year. The business of a bank is to know its customers. For that reason lending money to a bank is less risky than lending out money to an individual or a corporation yourself. And because banks are supposed to be good at managing risk, they can borrow at lower interest rates. And because they know their customers well and lend to many different customers, they can also lend at lower interest rates than you could. If you have some money, you could invest it in corporations or real estate. Corporations pay dividends and real estate pays rent. If the rents and dividends are higher than the interest rate you get when lending out money, you may prefer to invest your money. But investing is more risky than lending. If sales are sluggish, dividends may be cut, but lenders will still get their interest. And when a business goes bankrupt, lenders will get back their money fist. Investors only get what's left over. If someone wants to borrow money from you, the interest rate must be attractive, otherwise you may prefer investing and receiving dividends and rents. Other people that have money are in a similar position. Borrowers need to offer attractive interest rates in order to be able to borrow any money. Similarly, if dividends and rents are low, people with money may prefer lending to investing, so that borrowers do not have to pay high interest rates. In this way the returns on other investments affect interest rates. Suppose that you are a hatter and just received € 50 for a hat. You could rush to the nearest phone shop and buy that phone cover you saw yesterday. Alternatively, you could save the money so that you could buy a mobile phone later when you have sold more hats. You could even save some money for retirement. Choices are abundant, but the odds are that the money will be gone before the month is, and that you have acquired the phone cover or some other gewgaw. Most people spend their money sooner rather than later, and even borrow some more. Economists will diagnose you with a condition called "time preference". What has this to do with interest rates? It is the law of supply and demand. Suppose that you want that latest model mobile phone and only have the money for a phone cover, so you want to borrow some money. In that case someone else needs to save some money and lend it to you. But he wants to buy that latest model mobile phone too, so only an additional hip phone cover might convince him to wait. The law of supply and demand is at work here. When more people want to borrow or fewer people want to lend, the price of money, which is the interest rate, rises. This is because time preferences differ for different people. Mary may save money if interest rates are above 4% and borrow once interest rates are lower. John may save money as long as interest rates are above 6% and borrow if interest rates are lower. Alex might save if interest rates are above 5% but he may not borrow if interest rates are lower. As interest rates rise, the supply of funds for lending goes up and the demand for funds for borrowing goes down. The interest rate in the market will then be where supply equals demand. Time preference only works for ordinary people. There are other people too. They are called capitalists. Capitalists think differently. Economists have diagnosed them with a condition called "capitalist spirit", which is the opposite of "time preference". Capitalists think that money spent on a frivolous item is money wasted. That is because if you invest your money, you will end up with more money that you can invest again. Capitalists don't suffer from time preference. They save and invest anyway. Consequently capitalists end up with a lot of money when they die. What's the point of that? Capitalists invest in businesses that make the frivolous items ordinary people enjoy. Ordinary people wouldn’t have invested their money, but spent it instead on frivolous items, so that these items wouldn’t have been produced in the first place. Capitalists have a lot of money they need to invest because of their capitalist spirit. They don't stop saving and investing when interest rates go lower. If they are running out of things to invest in, they are willing to lend it at lower interest rates. Again, it is the law of supply and demand at work here. If capitalists have a lot of money while other people can’t borrow more because they can't pay the interest, interest rates go down. The properites of money can affect interest rates. Just imagine that apples are money and you are saving to buy a house. If someone wants to borrow 1,000 apples from you, and promises to repay those 1,000 apples after 10 years when you plan to buy your house, you would gladly accept this generous offer. You may even have accepted an offer of 900 apples because that is better than letting your apples rot. In this case you would settle for a negative interest rate. But you would only do so if there are no alternatives. If you could make 10% per year in the stock market, you could exchange your apples for Apple stock because their gadgets are in great demand and outrageously expensive. In that case, it doesn't matter that the apples rot, and you could demand interest on a loan. But if returns on the stock market are low or when stock prices are fluctuating so wildly that you can't sleep at night, you may prefer the offer of 900 apples. If the money had been gold, you would never accept such an offer, even when the stock market is doing terrible. If interest rates are negative, you can always keep your gold in a safe deposit box. Similarly, you wouldn't accept negative interest rates on euros or dollars because you can take bank notes and store them in a safe deposit box. The problem with this is that if you put money in a safe deposit box other people can’t use it for buying and selling stuff. And this can cause an economic depression. Economists and central bankers think that low and negative interest rates will be temporary but the graph above tells a different story. It shows the interest rates in the United States between 1961 and 2016. The green line is the real interest rate in the market. The real interest rate is the inflation free interest rate. So if the interest rate of you mortgage is 5% and the inflation rate is 2%, the real interest rate on the mortgage is 3%. The red line is the natural interest rate. This is the ideal interest rate for optimal economic growth. The natural interest rate is not an interest rate in the market. It is estimated by economists using models. Central banks use the natural interest rate to set the interest rate. If the central bank believes that the economy is overheating, it sets the interest rate above the natural rate. If it believes that the economy is in a slump, it sets the interest rate below the natural rate. The trend is clear but most economists and central bankers expect that interest rates will go up again. Only, the developments that drove interest rates down may not go away and interest rates may remain low and may even go lower. This has something to do with capitalist spirit. Interest rates have mostly been higher than the economic growth rate and most interest income has been reinvested because of the capitalist spirit, so that a growing part of total income was for investors. It is the law of supply and demand at work. The amount of available capital grows faster than the demand for capital so that the price of capital, which is the interest rate, must go down. In a capitalist economy people with lower time preferences than the prevailing interest rate tend to save and invest, while people with a higher time preference tend to consume and borrow. At some point the people with the higher time preferences pay a lot in interest and can't borrow any more, so that they have less money to spend. The economy then slows down because people can't afford all the stuff corporations make. Interest rates go down because the capitalists can't find good investments so that they are willing to accept lower interest rates. Then people with a somewhat lower time preference start to consume and borrow. This works for a while until they can't borrow more. This cycle repeats again and again as interest rates go lower. More and more people go into debt because their time preferences exceed the interest rate. This doesn't suddenly change when interest rates reach zero. If interest rates go lower, capitalist may lose money, but if they suffer from capitalist spirit, small losses may not deter them from saving and investing. And if people can borrow money at negative interest rates from the capitalists, capitalists may be better off because their corporations will be more profitable. Interest rates may go lower until the amount of capital doesn't grow faster the economy and then things find a balance. In the long the run capital can't grow faster than the economy. This puts a constraint on interest rates. If all interest income is reinvested, the average interest rate can't exceed the economic growth rate. Aristotle lived around 2,500 years ago. He was a clever guy who thought about several things. One of them was interest on money. He realised that money doesn't grow nor that money breeds children. He considered usury or charging interest on money to be unnatural. Money is needed for the exchange of goods and services. Witholding money from the economy by accumulating interest can be harmful to other people. Natural Money is interest-free money. Interest-free means that the maximum interest rate on money and loans is zero. Negative interest rates are possible. Natural Money also has a holding tax on cash ranging from 0.5% to 1.0% per month. The tax only applies to cash. It doesn’t apply to bank deposits, loans and other investments. It can be attractive to put money in a bank account or to lend money at zero or even negative interest rates. For example, if the holding tax is 10% per year and bank deposits yield -2%, you can save 8% by depositing money at a bank. Most money is in bank accounts nowadays, and because the holding tax doesn't apply on bank accounts, most people don't pay a lot in holding tax, while the people who still rely on cash will be encouraged to make more use of digital money. Money must remain in the economy. If you keep money for yourself, other people can't use it for buying and selling stuff or making investments. It is better that you spend it, invest it or lend it to someone else who is going to use it to buy stuff or to invest. The holding tax encourages you to chose from these three options that benefit the economy and discourage you from holding on to cash, even when interest rates are negative. There is a lot of capital and an abundance of savings so interest rates may remain low and may even go lower in the future. If the interest rate is not allowed to go below zero, prospective borrowers may not be willing to borrow so that money becomes piled up in banks. This may also harm the economy because this money is not used for buying and selling stuff or making investments. A maximum interest rate of zero can be a problem too. In that case you may not be willing to lend your money if the risk is too high or when other investment options are more attractive. Natural Money is feasible only when the risks are low and more attractive options are absent so that interest rates remain below zero. If prices go down, lending money at interest rates below zero can be attractive. Partnerships can replace lending when interest rates above zero are forbidden. If lenders become partners then they share in the profits as well as the losses. In that case there are no fixed interest rates but sharing profits and losses. Islamic finance is an example of a partnership scheme. Depositors of an Islamic bank share in the profits and losses of the ventures they finance. When interest rates are negative and there are no profitable investment opportunities, owners of excess funds will be enticed to spend more otherwise they will lose money. This can improve the economy can improve without new debts. If owners of funds aren't willing to spend, other people can borrow their money at negative rates. Borrowers don't have to pay interest on their debts, and these debts are gradually decreasing. Interest is a reward for risk. Risky loans fetch higher interest rates but the government guarantees the integrity of the financial system. 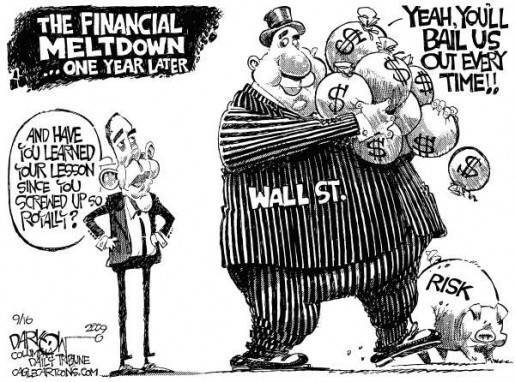 Bankers can make profits and fetch big bonuses while the taxpayers are on the hook when things go wrong. If the maximum interest rate is zero, banks are less willing to take on risky loans and there will be fewer risks in the financial system and banks don't have to be bailed out. Germany can borrow at negative interest rates while Greece can't. Interest rates are negative in Switzerland and high in Venezuela. This is a matter of trust. The finances of Germany and Switzerland are in good shape while those of Greece and Venezuela are not. Lenders are willing to lend at negative interest rates to Switzerland and Germany because they trust the governments of these countries. If there is a maximum interest rate of zero, you can't borrow if lenders don't trust you. It is better that you can't borrow at all when your finances are in poor condition when the alternative is borrowing at usurious interest rates. In this way the maximum interest rate of zero can promote responsible behaviour by preventing irresponsible lending or borrowers getting into trouble because of interest payments. To promote confidence in their currencies, governments need to have their finances in order. They will reap the benefits in the form of negative interest rates on their debts. For instance, if the government has a debt that equals 70% of the nation's income, and this government can borrow at -3%, then it can spend 2.1% of the income of the nation for free, meaning that governments can do more or that taxes can be lower. Humans buy stuff and go into debt to buy stuff when others are going into debt to buy stuff too. Suddenly they may realise that they have bought too much or have gone too deeply into debt, and all at the same time. One day they may be borrowing money, queueing up before the shops and bidding up prices. The next day, they may decide to pay off their debts, leaving the shop owners with unsold inventories they have to get rid of at firesale prices. These ups and downs in the economy are called economic cycles. What if you can't borrow money when the economy is overheating and everybody wants to borrow money? And what if you get some money for free when the economy is slow and nobody wants to borrow? Natural Money can make that happen. The maximum interest rate is zero. If the economy is doing well there are other attractive investments and lenders are less willing to lend money at such a rate. If the economy is doing poorly, lenders may be willing to lend money at a negative rate, and give you money for free. People will start to spend more when the economy is doing poorly and spend less when the economy is booming so that the economy will become more stable and economic cycles will disappear. As a consequence governments and central banks don't have to manage the economy with spending and printing money. Governments can have balanced budgets and central banks don't have to print money. And this may be needed to promote confidence in the currencies governments and central banks issue. If you can't borrow at positive interest rates then you end up with more money to spend because you don't have to pay interest. Hence, consumers have more money to spend without interest. Most notably poor people may not be able to borrow. If the alternative is borrowing at usurious interest rates, they may be better off when they can't borrow at all, provided that they get proper assistance when they are in need or start a business. Many people believe that the economy may not grow any more or should not grow because economic growth means a greater use of the limited resources of the planet. In that case, the average interest rate on capital can't exceed zero in the long run, and interest rates often need to be negative. Natural Money can help to improve the economy so returns on investments, hence interest rates must be higher. The maximum interest rate is zero so Natural Money currencies must rise in value. If they rise faster than interest accumulates on regular deposits, Natural Money is an attractive investment. A capital flight towards economies using Natural Money can cause Natural Money to be adopted world wide. The superior efficiency of Natural Money is to enforce the change. Why don't economists see this? Economists think that we can never have enough. But is that true? Nowadays more people are dangerously overweight than underfed. And the wealthy top 1% who own most capital can't spend all their money on stuff and are running out of things to invest in. All this money pushes interest rates down. The economic world is turning upside down, and so are interest rates.